RUSH: And we’re gonna pick up pretty much right where we left off yesterday, my friends, gonna continue talking about Mueller and this threatened subpoena and these idiotic questions. How in the hell can you be pursuing a crime with all these questions about motive? What was the president thinking? And I’ll tell you what that’s about. That’s Mueller trying — he doesn’t have a conspiracy. He doesn’t have a crime. But he would love to be able to get to the point where he can say Trump was conspiring to obstruct justice. And in trying to ascertain Trump’s motives, this is where Mueller is headed. RUSH: Andy McCarthy — my brilliant lawyer buddy and a former prosecutor at the Southern District of New York, SDNY — the U.S. attorney’s office Southern District of New York. He has weighed in on Mueller’s questions, which we spoke about yesterday. And within the context of this, this may be one of Andy’s best — front to back, top to bottom, side to side — and it’ll be up at National Review Online. He submitted it this morning. Of course, I, as a powerful, influential member of the media, have it before anybody else does. So that’s why I’m telling you about it. I just want to read a couple things here to begin with. I mean, it starts out with both barrels blazing. The headline, “Mueller’s Questions for Trump Illustrate the Folly of Special-Counsel Appointment.” That’s not both barrels. They are to come. He starts out by assuming the authenticity of the questions in the leak. He’s gonna write the column based on the fact he believes they’re real. “The questions indicate that, after a year of his own investigation and two years of FBI investigation, the prosecutor lacks evidence of a crime.” Yet despite any evidence of a crime — that means the investigation ought to be shut down. After two years and you can’t find a crime? Shut it down, end it, it’s over. But no! No! Despite two years and one year of 365 days a year investigation, no evidence of a crime. So Mueller seeks to investigate Trump’s motives and Trump’s thought processes regarding the exercise of presidential power that was lawful, regardless what you think of it. In other words, the president exercising his constitutional duties cannot be breaking the law! There cannot be a crime! Well, there can be. But these guys are nowhere near finding one because the kind of crimes that take place that could be prosecutable or actionable, impeachable, haven’t happened here. So far, all that they’re looking at is the president’s daily execution of constitutional duties, and they’re looking for crimes within. And there aren’t any. Because regardless what you think of Trump and his brain, his manners, his sophistication or lack of it, there isn’t a crime in any of that! And there isn’t a crime in firing James Comey! There isn’t a crime in why he wanted to fire James Comey! If Mueller wants that kind of control over the executive branch, he should run for president. This investigation is nothing more than — which you and I all know — the Washington establishment attempting to nullify an election, the outcome of which offended them and made them angry. “The questions, reported by the New York Times, underscore that the special counsel is a pernicious institution. Trump should decline the interview. More to the point, the Justice Department should not permit Mueller to seek to interrogate the president on so paltry and presumptuous a showing. There’s no crime! But then we’re back to, wait a minute, there never was, because it was a counterintelligence investigation. And there are never crimes in a counterintelligence investigation. 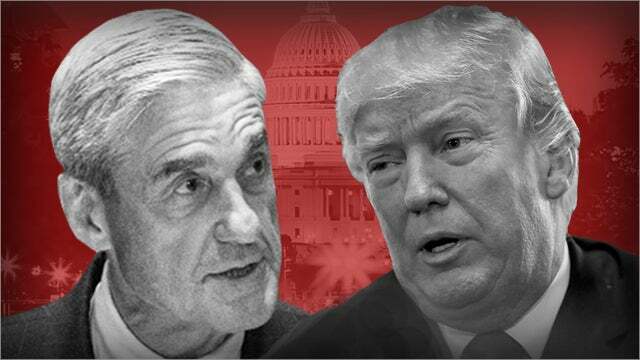 RUSH: Robert Mueller was appointed special counsel for two reasons. One, ostensibly to take over a counterintelligence investigation. And, two, in reality, as a cave-in to primarily Democrats who were upset over Trump’s firing of Comey, which was lawful. Even though Trump may have botched the way he did it, it was lawful. It wasn’t unconstitutional, it’s not impeachable. Trump can fire anybody in the executive branch. The Democrats contended that Comey’s firing, in conjunction with Comey’s leak of Trump’s alleged pressure to go easy on Michael Flynn warranted a criminal obstruction probe. 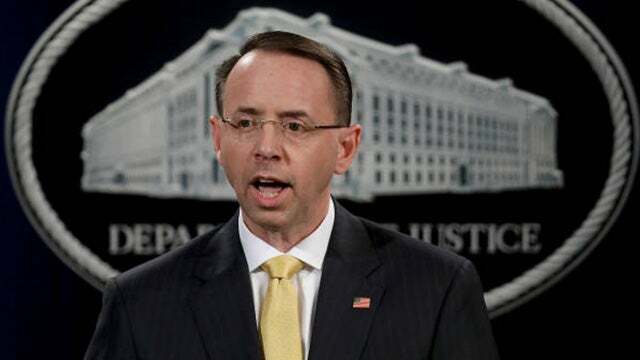 The Democrats wailed and moaned and somehow Rod Rosenstein — I say “somehow” — decided to placate them by naming Mueller, which is what Comey wanted to do with the release of his four so-called memos. But none of these reasons, none of these events is a valid basis for a special counsel investigation. Once again, “a counterintelligence investigation is not a criminal investigation. To the extent it has a ‘subject,’ it is a foreign power that threatens the United States, not an American believed to have violated the law. A counterintelligence investigation aims to gather information about America’s adversaries, not build a courtroom prosecution. And this is a counterintelligence probe. Rosenstein didn’t even specify a crime, which Justice Department regulations mandate if you’re gonna appoint a special counsel. So this isn’t even a prosecution. This is what Trump says, this is a pure witch hunt. This is a bunch of people with sour noses upset over the outcome of elections that are seizing control of the executive branch in search of a crime that they do not know exists for the express purpose of disqualifying the winner of a duly constituted election. Democrats did not want a special counsel to investigate crime. 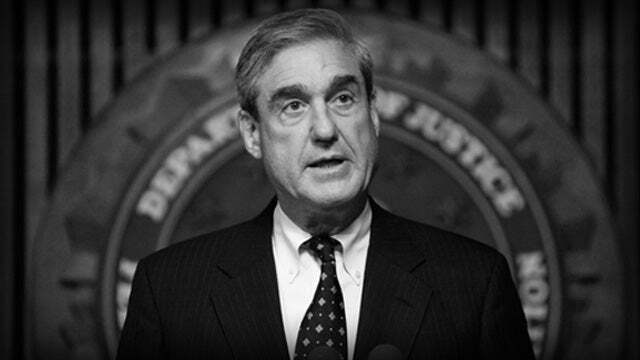 They wanted a special counsel to promote a political narrative that Hillary Clinton lost because something other than her lack of appeal or her incompetence. And the Democrats wanted a special counsel to frustrate Trump’s ability to govern, to mollify their resist base, and to stop Trump from implementing policies they oppose and thus to enhance their own electoral hopes in 2018 and 2020. One of the questions is, “What did you think when you learned that I was going to be appointed to investigate you?” These open-ended questions seeking an opinion are actually setups to hopefully charge Trump with conspiring, in his mind, thinking, to obstruct justice. It’s a scam. The whole thing is a scam. It’s two years old. They haven’t found diddly-squat. It needs to be shut down.